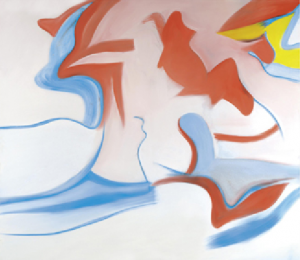 Sotheby’s auction house worked its magic again last night at their London contemporary art evening sale that totaled £54.1 million – three times the total of the equivalent sale last year and comfortably higher than its pre-sale estimate of £32.2 – 45.1 million. Of the 77 lots on offer, fifteen sold for over a million pounds and only three failed to sell. Measured in financial numbers, this is the second most successful contemporary auction ever held at Sotheby’s. 21 new artist records were set, a large number but slightly dicieving given that nineteen of these were realized by Zero Group-era artists, many of whom have never appeared in the big evening auctions. Discussing the results, Cheyenne Westphal, Sotheby’s Chairman of Contemporary Art Europe, said: “The outstanding sell-through rates, depth of bidding across the sale – particularly for Lenz – and strong prices we achieved this evening are a clear sign of renewed confidence in this market and build on the positive and strong results of our New York sale in November. The top-selling work from the Lenz Collection was Yves Klein’s F88. The work – one of the largest and most significant examples of Klein’s Fire Paintings ever to be presented at auction – was vied for by two bidders and sold to a buyer in the saleroom for £3,289,250 against a pre-sale estimate of £2.8-3.5 million – the work set a new auction record for a Fire painting by the artist. Establishing the second and third highest prices of the Lenz Collection, were two Metalli series works by Lucio Fontana. The first, Concetto Spaziale, New York 26, commanded £3,065,250 more than doubling its pre-sale low estimate (estimate: £1.5-2 million) and the second, Concetto Spaziale, also performed well, selling for £2,057,250 again above pre-sale expectations £1.5-2 million. The night’s highest price, £4 million over an estimate of £2-3 million, was paid by a telephone bidder for Willem De Kooning’s abstract “Untitled XIV.” A telephone buyer also secured Doig’s Alpine scene “Saint Anton (Flat Light)” for £2.8 million. However, the strongest price of the evening – relative to estimate – was paid for Frank Auerbach’s drawing Head of Leon Kossoff that sold to London dealer Offer Waterson for £1,038,050 million – over ten times it’s high pre-sale estimate of £60-80,000. Perhaps the biggest shock of the evening came when Lucian Freud’s self-portrait failed to sell at the anticipated sum. The painting had dominated pre-sale headlines, Sotheby’s had even described the work as “the artist’s most important self-depiction ever to appear at auction.” Eventually Self Portrait With A Black Eye undersold for £2,841,250 – it had been expected to fetch between £3-4 million but in the end. 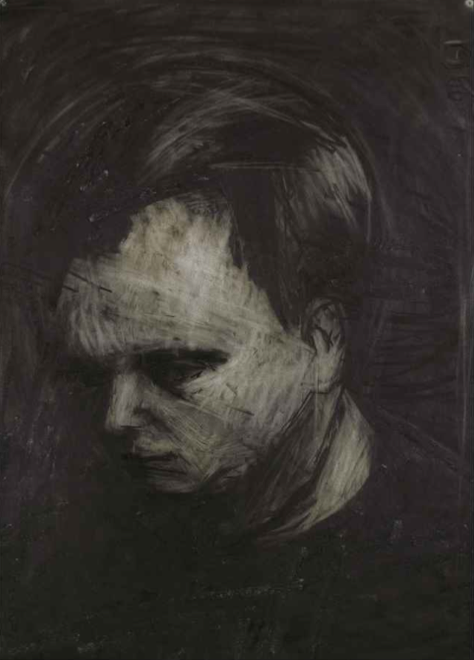 The portrait headlined one of five Freuds sent for sale by Victor Chandler, who became friendly with the artist in the late 1970s – combined the works brought a total of £4,677,000. This entry was posted on Thursday, February 11th, 2010 at 1:30 pm	and is filed under Art News. You can follow any responses to this entry through the RSS 2.0 feed. You can leave a response, or trackback from your own site.